Every project is a little different, but here are a few interesting custom projects that we’re proud to be a part of. 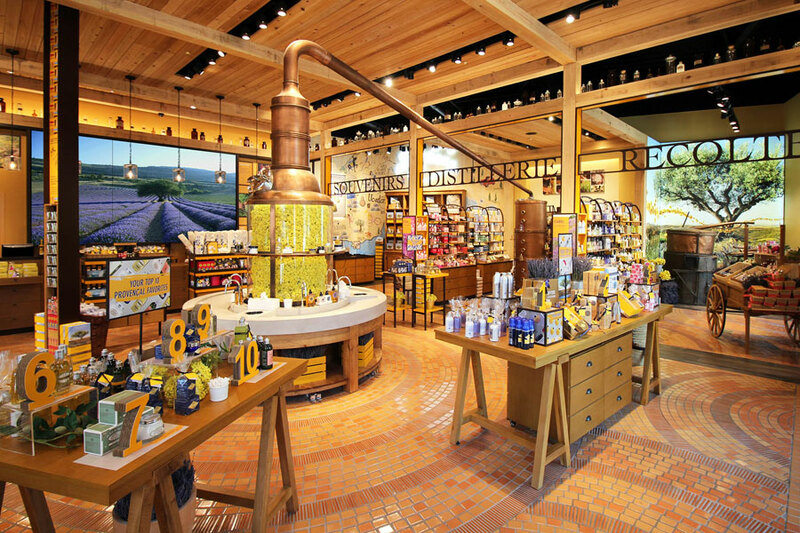 This circular trough system was shipped to a retail establishment in Disney Springs. 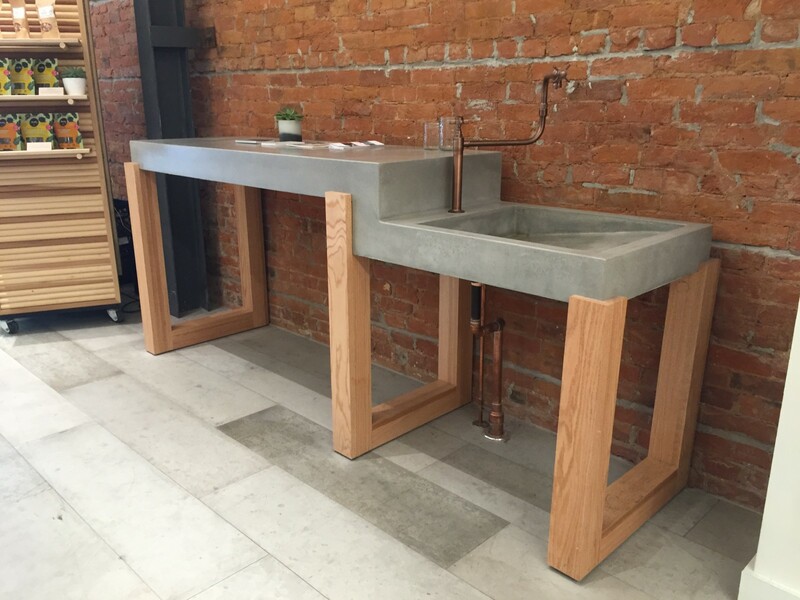 This was a unique side bar sink. 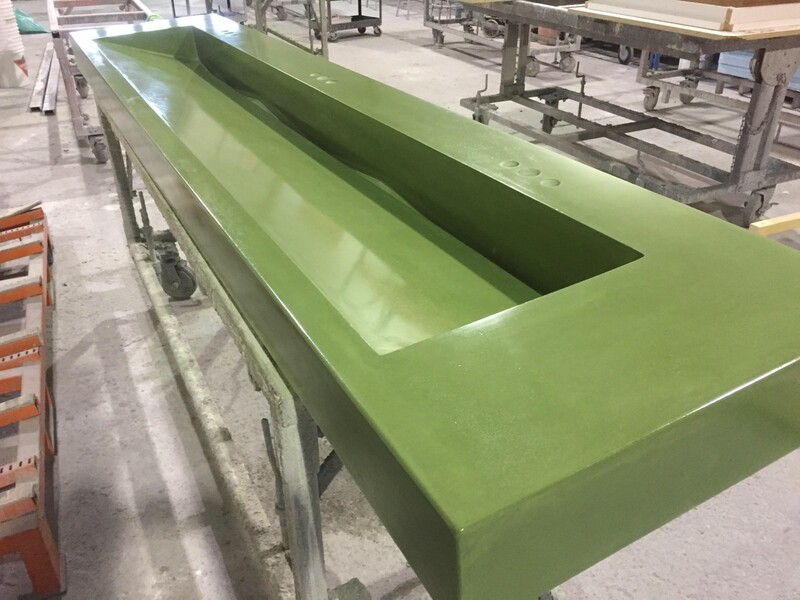 We matched this lime green slot drain trough to an athletic facilities colors. Our client asked us to use our imagination, with blue as a base color! 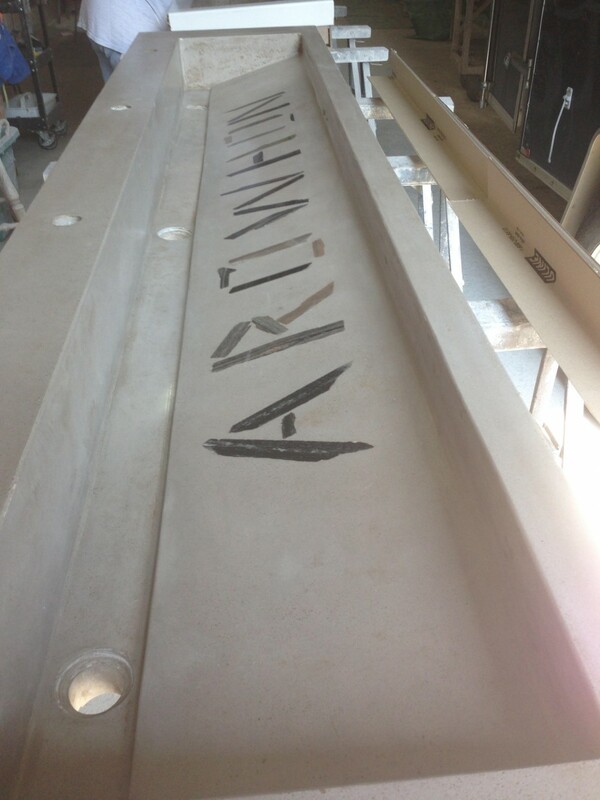 Flat stone sections were inlaid into the ramp of this trough. 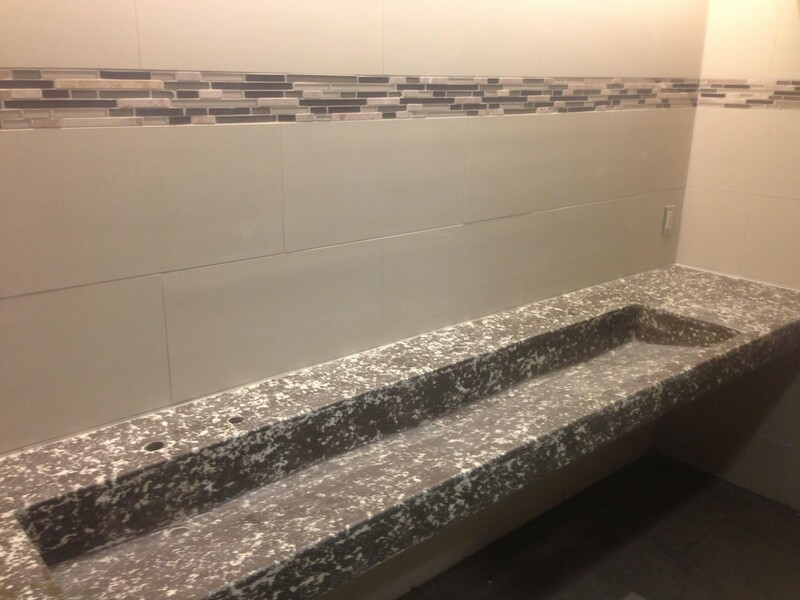 These marbled trough sinks had a very busy combination of exposed aggregate and contrasting color marbling. 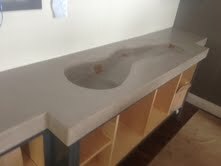 This project was for a Toronto retail store and incorporated a two level display table and sink all in one piece. 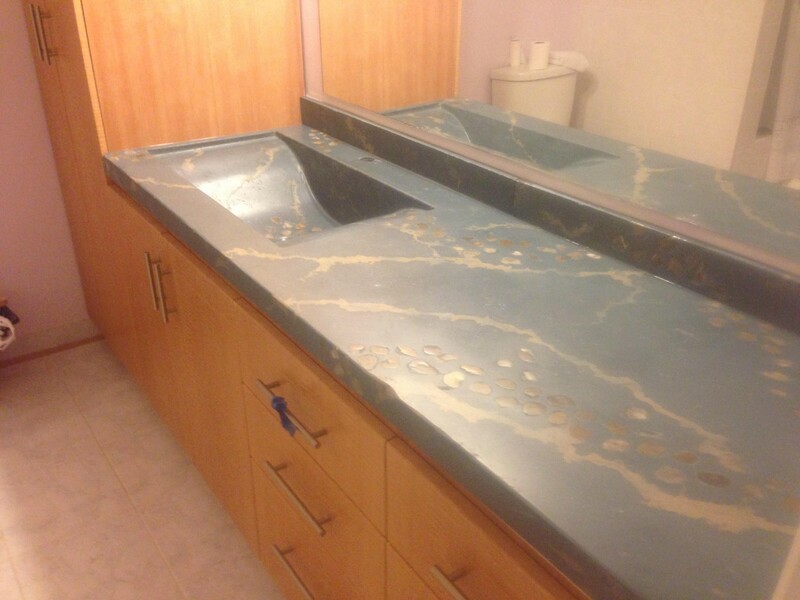 The finish was Natural Grey. 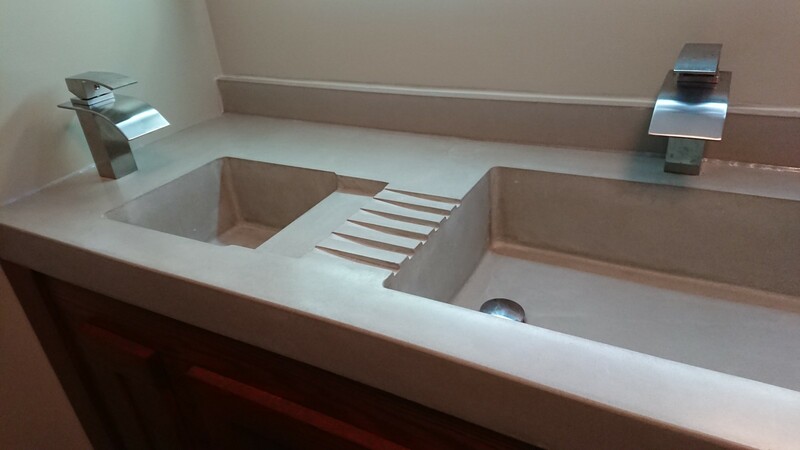 One of our clients recently asked us to fabricate a custom vanity top with a main wash basin as well as a dedicated shaving sink. 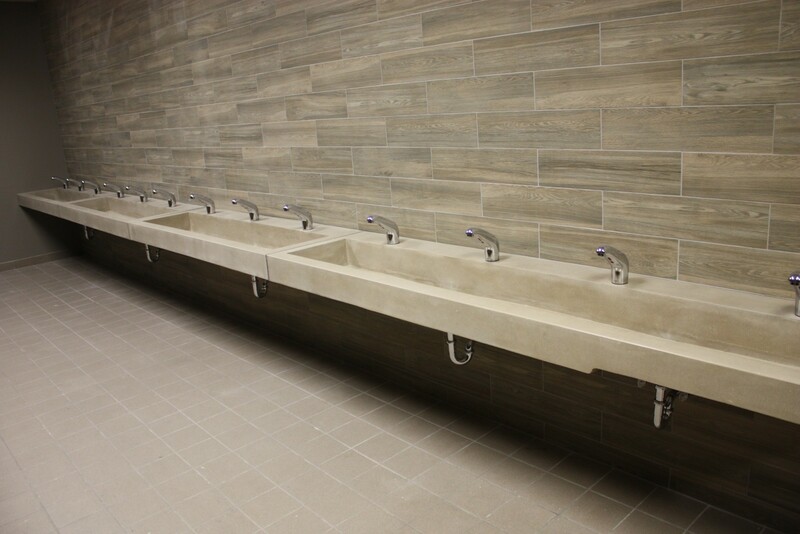 A cast-in drain grate serves as a place to set wet face cloths etc., as well as providing a natural overflow between the two sinks.